With warm weather comes certain car problems. One of the most common problems is fan clutch failure, which is more noticeable in warm weather. The fan clutch serves an important role in the engine’s cooling system. It engages the fan when the engine becomes too hot and disengages the fan when the engine is cool or at a normal temperature. The fan clutch operates the most in warmer weather and at low vehicle speeds. The engine is most likely to overheat during low speed driving in warm weather. All fan clutches will eventually wear out. The failure is usually not noticed until the weather is no longer cold enough to keep the engine cool without the fan. 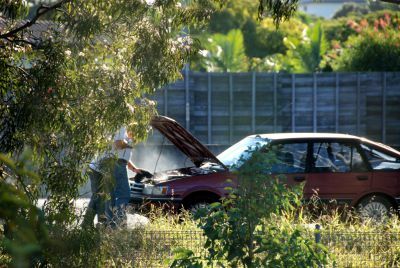 Idling the engine and driving at low speeds may contribute to failure sooner than expected. Won’t engage. The fan won’t spin at all. Won’t disengage. The fan spins all the time. Overheated engine: If the fan clutch is stuck in the “off” position, the engine will overheat. Heater not effective: If the fan clutch gets stuck on in cold weather, the engine will take a long time to get to its normal operating temperature. The customer will notice that the heater does not warm the car the way that it should. Air conditioner not effective at low speeds: If the fan doesn’t come on, air won’t be pulled over the condenser coils. Louder than normal fan noise: If the fan is stuck in the “on” position, the fan is constantly blowing, even when it is not necessary. This makes the sound louder than normal. Reduced fuel efficiency: When the fan is stuck on, it creates parasitic drag all the time. Fuel economy can drop 1-2 mpg. Choose a manufacturer with extensive experience manufacturing fan clutches. Is designed to OE specifications. Is thoroughly tested for performance and durability.